This pre-primary has become a centre of learning! 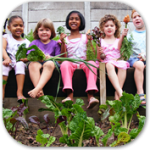 Imagine a school where the outdoor classroom is as important as indoor; where children at a very young age are able to learn about conservation, climate change and permaculture! The environment is used as a vehicle in which to teach numeracy, literacy and life skills; and recycling, water harvesting, growing food and entrepeneurship all form an integral part of the curriculum. Not only that – the actions of these children are taken home and into the community. 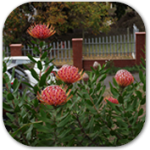 The school is considered a demonstration Green Campus and proudly offers outings for schools of all phases, staff enrichment and permaculture courses. 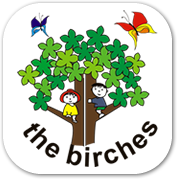 The Birches was established in 1976 and registered with the then Natal Education Department. It was opened on 24th March by the Mayor of Pinetown with 35 children. It was housed on a balcony of the Paradise Valley Complex. Difficulties beyond our control led to the decision to seek new premises. 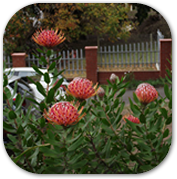 Sarnia Primary; who was then custodian to the premises vacated by the Pinetown Remedial School; offered the use of the vacant land near the cul-de-sac in Oribi Crescent in July 1992.